Influenced by Viktor Frankl’s Man’s Search for Meaning, Edith Eger’s account of her search for a life of meaning beyond Auschwitz is an exceptionally powerful story of hope and humanity. If I could distill my entire life into one moment, into one still image, it is this: Three women in dark wool coats wait, arms linked, in a barren yard. They are exhausted, they have dust on their shoes. They stand in a long line. In 1944, sixteen-year-old Edith Eger was sent to Auschwitz. There she endured unimaginable experiences, including being made to dance for the infamous Josef Mengele. Over the coming months, Edith's bravery helped her sister to survive, and led to her bunkmates rescuing her during a death march. When their camp was finally liberated, Edith was pulled from a pile of bodies, barely alive. 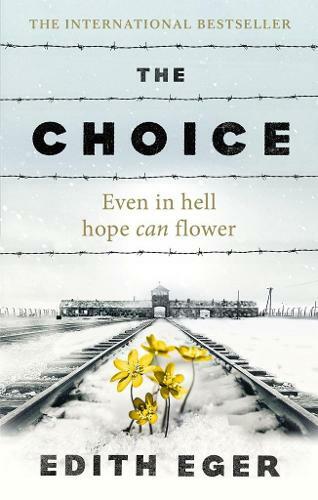 In The Choice, Dr Edith Eger shares her experience of the Holocaust and the remarkable stories of those she has helped ever since. Today, she is an internationally acclaimed psychologist whose patients include survivors of abuse and soldiers suffering from PTSD. She explains how many of us live within a mind that has become a prison, and shows how freedom becomes possible once we confront our suffering. Like Viktor Frankl's Man's Search for Meaning, but exceptional in its own right, The Choice is life changing. Warm, compassionate and infinitely wise, it is a profound examination of the human spirit, and our capacity to heal.